Microsoft comes one step closer to its goal of a more common .NET platform all around. Microsoft has announced the launch of its new .NET Core 2.0 for download. 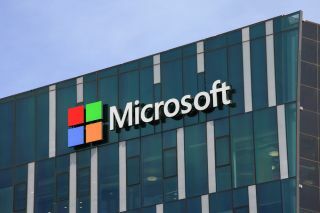 Announcing the news, Microsoft also said it will be delivering ASP.NET Core 2.0, Entity Framework Core 2.0, as well as full .NET Standard 2.0 specification. The idea behind the new .NET Core and .NET Standard was to bring consistency among more of its APIs, across various .NET versions. According to Microsoft, the number of APIs in .NET Standard has gone up from 13,000 in 1.6, to 32,000 in 2.0. Most are .NET Framework APIs, meaning it will be easier for devs to port their current .NET Framework codes to .NET Standard. At the moment, .NET Standard 2.0 has support on .NET Core 2.0, Mono 5.4, .NET Framework 4.6.1, Xamarin iOS 14.14, Xamarin.Mac 3.8 and Xamarin.Android 7.5. Universal Windows Platform (UWP) is yet unsupported, which is expected to change before the year ends. According to Microsoft, .NET Core 2.0 should boost the performance in both the runtime and framework. Six new platforms are added to its support list, including Debian Stretch and macOS High Sierra. Microsoft is focusing a lot of its energy to make sure .NET runs on as many platforms as possible. “We’re very excited on this significant milestone for .NET Core,” Microsoft said.